Personal bankruptcy is a major problem in the US. Back in 2005, personal bankruptcy filings reached an all-time high, with 2 million people filing. That number has decreased since then because medical insurance is more accessible. Back then 46% of bankruptcies were caused by medical expenses. If you’re worried about bankruptcy, there are alternatives so you can avoid having to file. Let’s take a look at some of the options open to you, even with poor credit. Just because a creditor is demanding a certain amount from you at a certain interest rate doesn’t mean you can’t get a better deal. Try contacting both your creditors and your debt collectors yourself and ask if there’s the possibility of negotiating the amount. Mention that you’re going to file for bankruptcy. Remember your creditors are unlikely to get anything if your assets are drained and you’re about to file for bankruptcy. It’s in their best interest to try to make you pay, so be open and honest about it. Many creditors are willing to negotiate. Debt consolidation isn’t right for everyone, but it could be right for you. The way it works is that a company essentially buys your debt. You’ll no longer have multiple creditors you’ll have a single creditor. You might find yourself with a better interest rate and a lower amount to pay. Have You Exhausted All Credit Options? You might have to swallow your pride to ask family and friends for help with your debt, but it could stop you experiencing the damaging effects of bankruptcy. There are also options for those with bad credit. For example, many payday loan companies can provide you with a short-term loan until your next payday. Attorneys are intelligent and they will be able to give you the advice you need regarding your debt. They will always try to help you avoid bankruptcy by negotiating a debt settlement. This will typically involve a portion of debt forgiveness and a lower interest rate on the existing amount. You’re more likely to get a deal if you have appropriate legal representation on your side. Many creditors won’t even negotiate if you don’t have an attorney. But sometimes your attorney will also consider fighting a disputed debt in court. Clearing a debt that you never owed through the courts could save you from bankruptcy. This second option, though, may require a significant investment and you have to decide whether it’s worth the expense. Is Filing for Bankruptcy the Better Option? It always depends on your specific situation. Sometimes your creditors won’t play ball so you have no choice but to file bankruptcy. Other times your debt is so high that even with a settlement it’s easier to deal with the fallout of bankruptcy than to spend the rest of your life trying to pay off the debt. You should always get professional advice before deciding on what to do. A financial specialist and an attorney will be able to give you some open and honest counsel. Last Word – Is Bankruptcy Really the Right Choice? Don’t automatically assume that bankruptcy is the best choice. You may find that there are still alternatives, including debt consolidation and debt settlements. 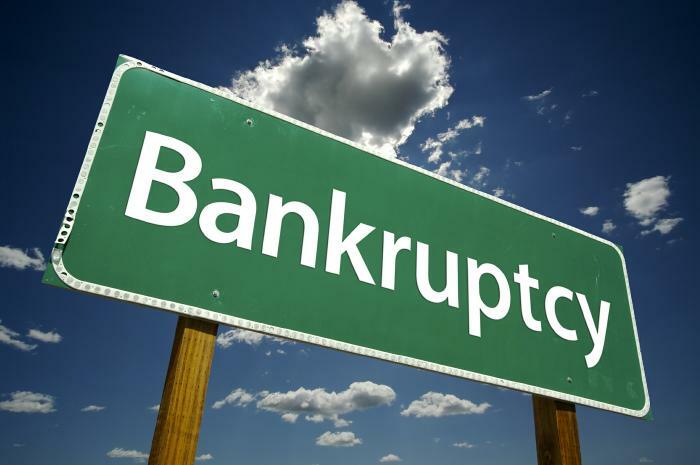 Are you currently thinking about filing for bankruptcy? Could Copper Be A Health Hazard?